BPW Australia - BPW Central Coast Women in the NSW Police Force - What's It Really Like? BPW Central Coast Women in the NSW Police Force - What's It Really Like? 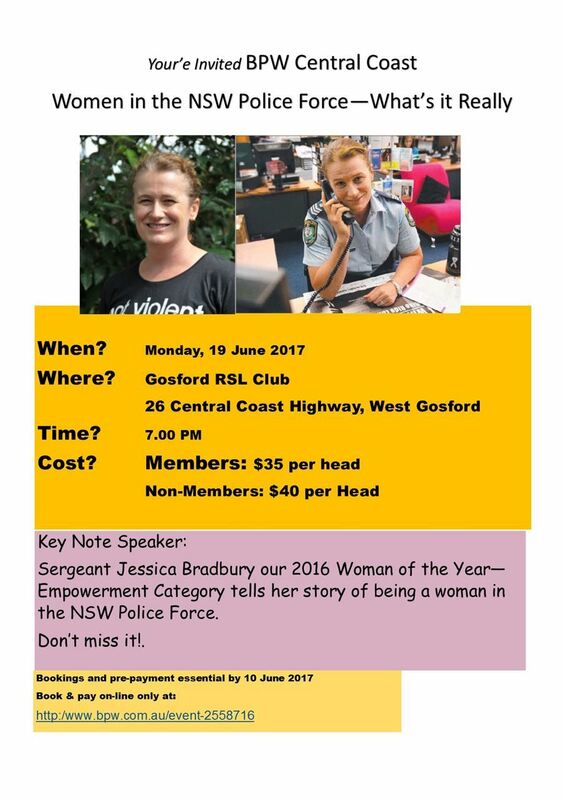 You're invited to hear Sergeant Jessica Bradbury recount her career as a NSW Police Woman.